The number of children being home-schooled in Ireland has almost doubled in five years, according to the latest figures. Statistics from the Child and Family Agency Tusla reveal that the number of children being educated at home has risen from 699 to 1,322 between the end of 2011 and December 2016. The biggest increase was in Dublin, where the numbers of children taken out of school jumped 144pc, from 81 to 198. Cork, too, saw its tally soar from 115 to 184 in that timeframe. Monaghan showed the smallest uptake in home-schooling, with a rise from five to six children being home-schooled in five years, while Louth and Longford followed suit, with numbers there graduating from 10 to 14 and eight to 11 respectively. Home education is a constitutional right of parents enshrined in law under the Education Act 2000, according to Tusla. "There are many reasons why parents choose to home-educate children," it says. "These can include personal circumstances, philosophical or religious reasons." 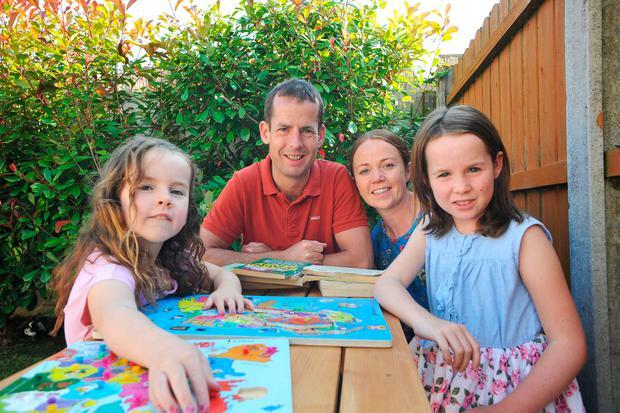 Among the fans of home-schooling are new recruits Lee (39) and Marie (36) McKeown, of Johnstown, Navan, Co Meath, who have just finished their first year of home education with their two daughters Ciara (9) and Eabha (8). "Ciara brought up the subject at home one day. She loved the teachers [at her school] and had loads of friends, but hated sitting at a desk all day," she said. "I was always interested in home-schooling and the more I read into it, I thought I had to give it a go. "I was a Montessori teacher and decided to become a stay-at-home mum when the girls were born, so I was in the perfect place to home-school and, similar to Montessori, I like the idea of a more practical education." The 'teaching' mum was surprised at how easy it was to get approval for home-schooling. "We applied to Tusla and they sent out an assessor to interview us at home. We basically got the nod straight away," she said. Marie admits it was a huge change, but for the better, and one they all embraced pretty quickly. "I used to be stressed out making sure that they were in bed on time for school," she said. "Now I haven't got that pressure of getting them to bed at a certain time. Don't get me wrong - they don't stay up all night, but there is no watching the clock in the evening any more." Since starting home-schooling, Marie and Lee, who is an IT teacher, have joined a local network who meet regularly for activities. "It's great. There's a lot of home-schooling in Meath, especially in the Trim area. We meet up most of the days and the children all interact, so they have that social element," she said.